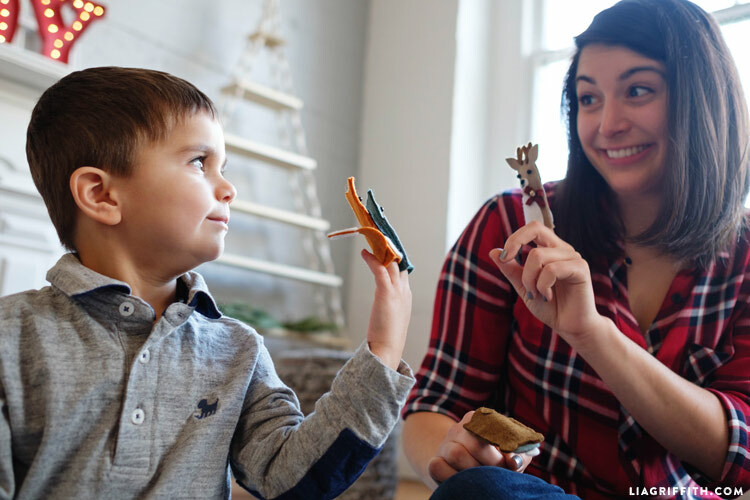 Finger puppets have been a classic kid’s toy for generations. 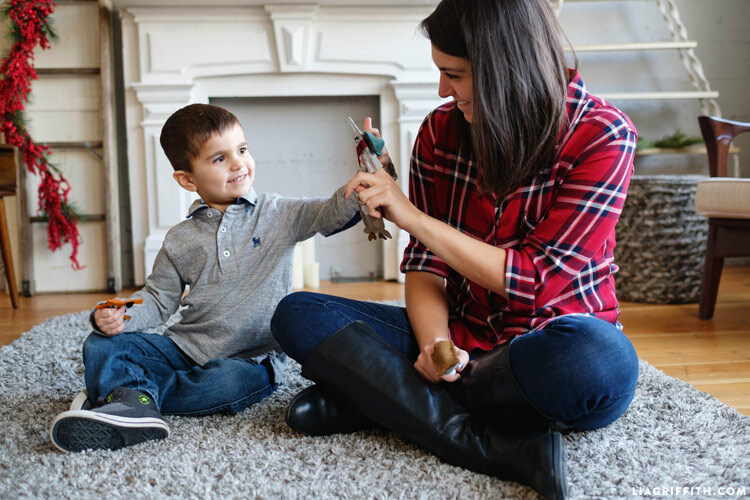 They allow little ones to engage with story telling and use their imaginations in such a simple way. And that never goes out of style! 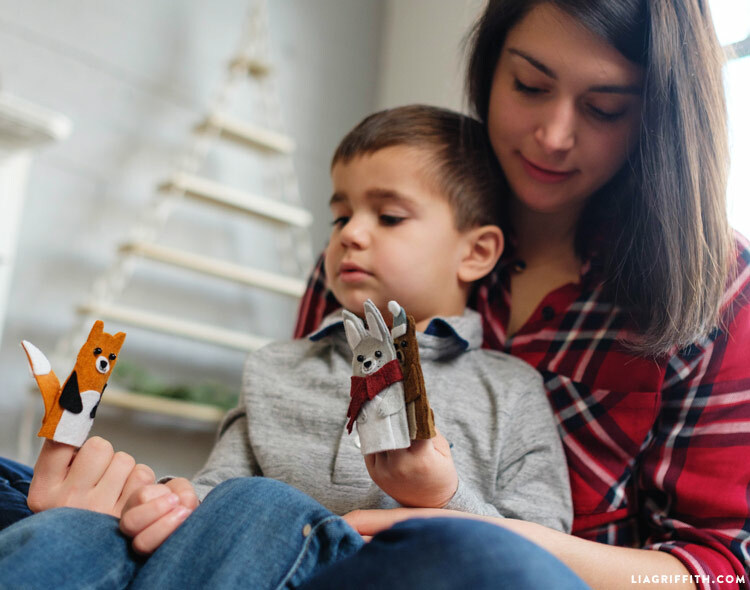 With wintertime and Christmas both upon us, there are so many opportunities to craft up a set of DIY woodland finger puppets. 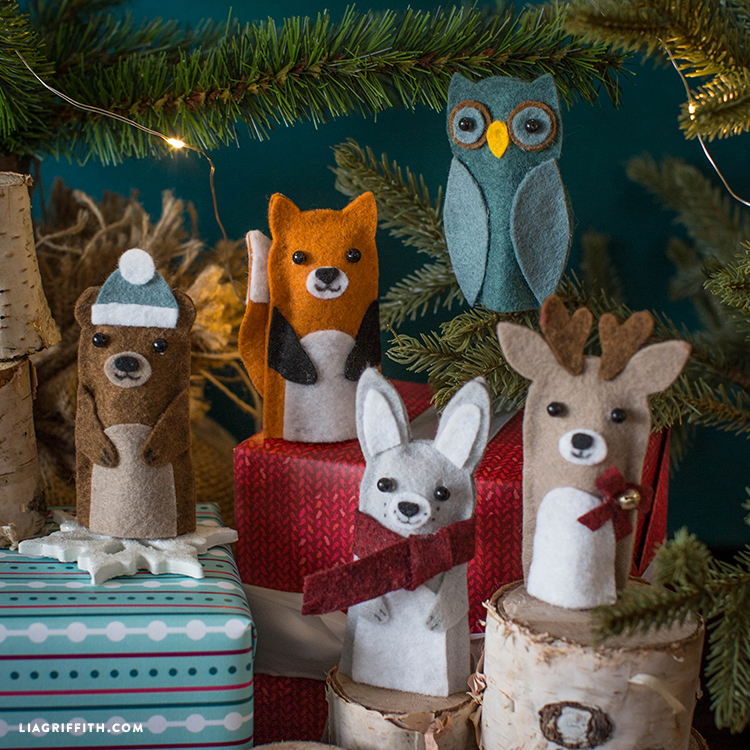 This collection includes a winter bunny, bear, fox, owl and deer. Because DIY tutorials are always better in video form, this project also happens to be the next lesson in our Easy Kid’s Crafts course in Craft School! 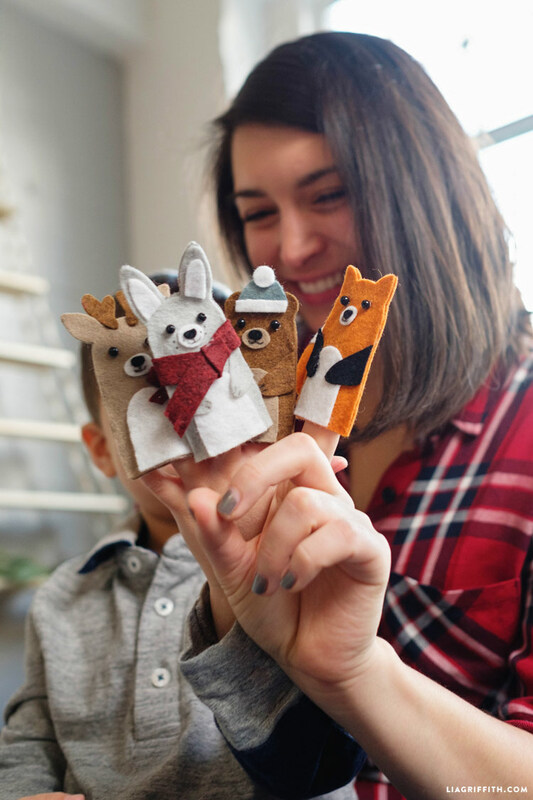 While our previous felt finger puppets have been handstitched, we made this project with tacky glue so it could be more accessible for kids to make themselves. 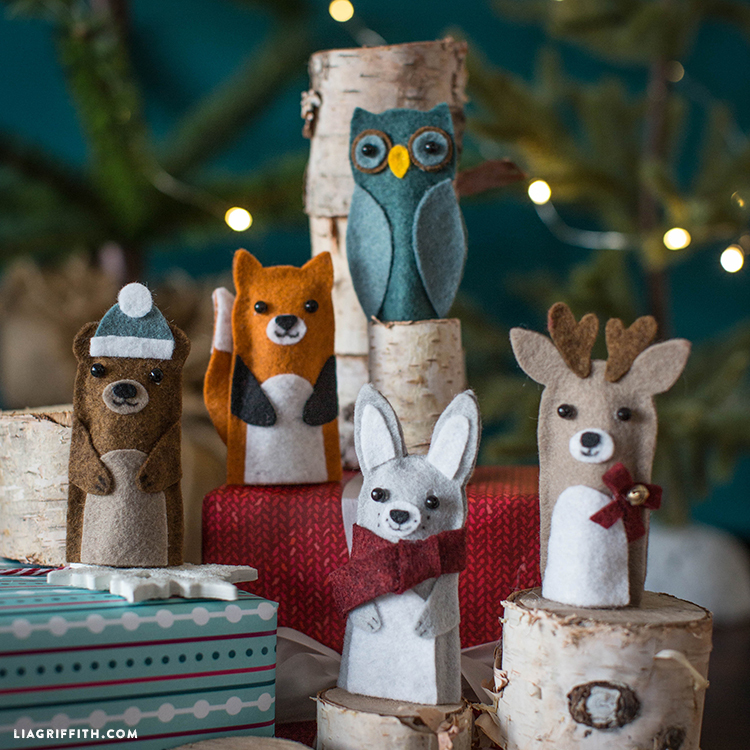 Watch our Craft School video for the full tutorial on making these DIY woodland finger puppets. Start by downloading the PDF template as a guide for cutting your felt pieces. As you can see in the video, I use a black pencil to trace the template onto the felt so that I can get a more precise line. This is also helpful for kids to cut with ease! When assembling your woodland puppets, there are a few different ways to secure the pieces. In the tutorial, we use tacky glue for a kid-friendly option, but you can also use a low temperature hot glue gun (generally we do not recommend introducing a hot glue gun before age 10). If you are wanting to learn some beginner sewing skills, you can stitch them together with embroidery floss, like we did with our fairy tale finger puppets. 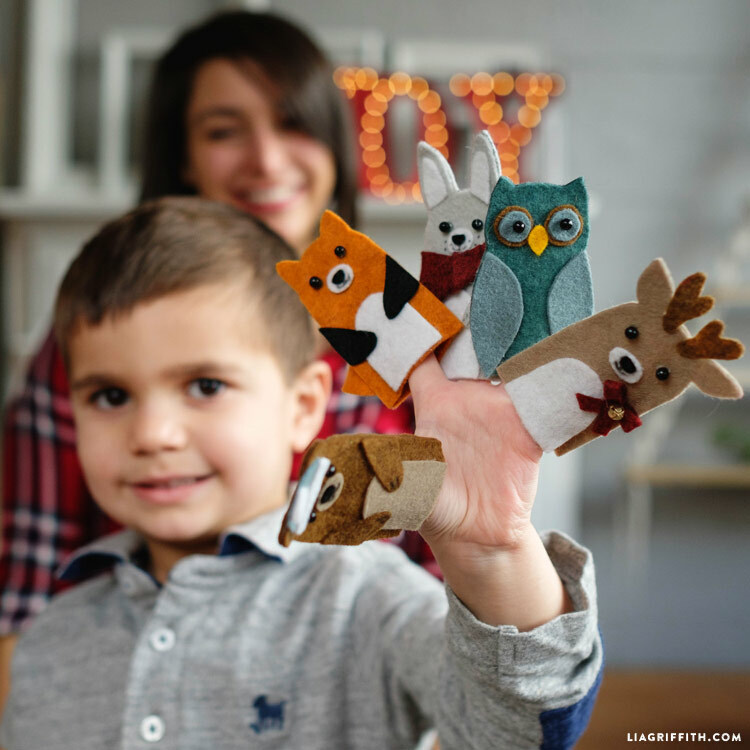 Watch the DIY woodland finger puppets video in Craft School! I’m having trouble with the SVG file, is anyone else having issues loading into the Cricut Design Space? We haven’t heard about issues with the SVG files– what error message are you receiving? I’m not getting an error message, if you have a support email address I can send images of what is uploading. I have tried a different svg file from your site and I didn’t have any issues so I’m assuming something is off with the file. Yes, send a screenshot to hello@liagriffith.com. We added the SVG for you Allison! While the videos are great. I wish the printable patterns included a list of all materials used that I could take to the store with me. We started adding a downloadable materials & instructions list to our projects earlier this year. As time allows we’ll go back to older posts to add them!